This trade label was spotted in Volume IX of Devon And Cornwall Notes and Queries, January 1916 to October 1917. Page 130. 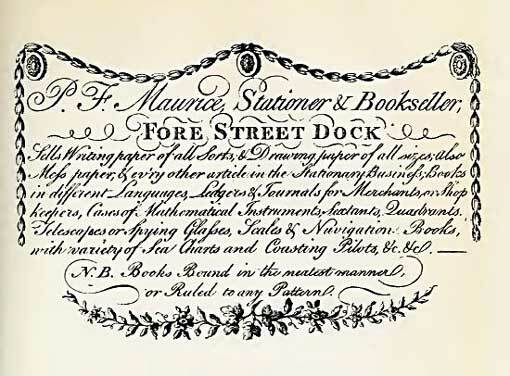 However, the label is not from that publication date, but from a century earlier, more, since the article was by a person who collected trade labels from the 17th and 18th centuries - thus, this label is from Plymouth Dock pre 1800.